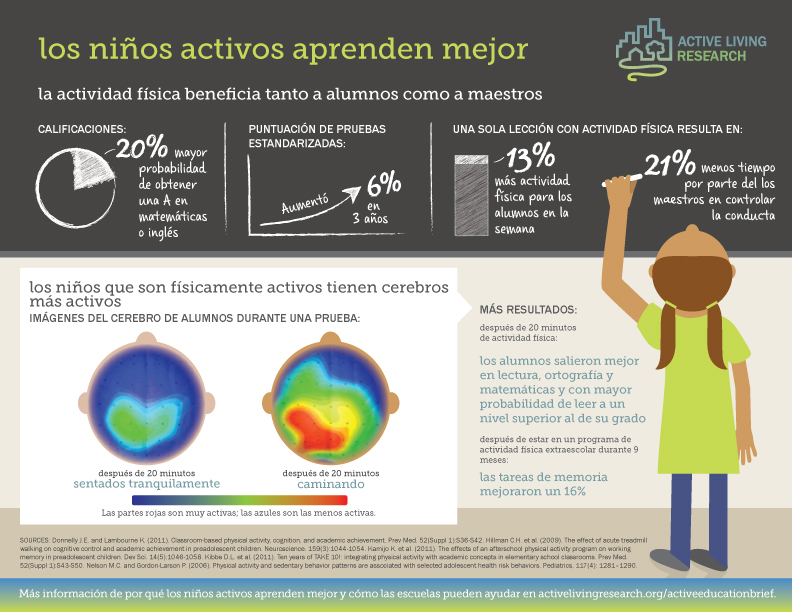 Our popular Active Kids Learn Better infographic has now been translated into Spanish. This infographic features evidence on how physical activity and fitness may help school-aged children maximize their academic performance, and provides an overview of the effects of physical activity on the developing brain. Findings presented in this infographic come from a related ALR research brief. We are happy to provide a number of options for downloading our Active Kids Learn Better infographic. You can download the full version in JPG format (1.07 MB) by clicking on the image above or the "Download Original" link at the bottom.